GEN3 Dual Kit features a Reuleaux RX GEN3 Dual TC MOD, which can run up to 230W max power. Powered by dual 18650 batteries, it adopts a 1.3-inch OLED screen, can support VW/TC-Ni/TC-Ti/TC-SS/TCR modes. Except the stainless steel thread, the spring-loaded 510 pin is also included. WISMEC Reuleaux RX GEN3 Dual is a new kit after Gen3 Kit, it features a Reuleaux RX GEN3 Dual TC MOD, which can run up to 230W max power. Powered by dual 18650 batteries, it adopts a 1.3-inch OLED screen, can support VW/TC-Ni/TC-Ti/TC-SS/TCR modes. Except the stainless steel thread, the spring-loaded 510 pin is also included. Together with the RX GEN3 Dual mod is Gnome King tank, which integrated 2ml and 5.8ml capacity. With beautiful color scheme, the tank is stylish and elegant. The WM01 Single 0.4ohm head will provide you huge clouds and great flavor! • No 18650 battery or e-juice. 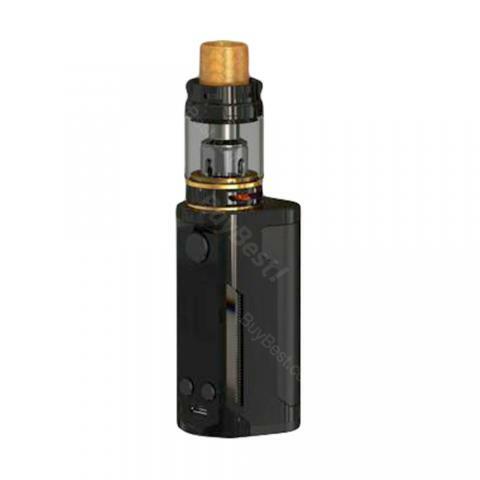 • Quick links: Reuleaux RX GEN3 Dual MOD; GNOME Atomizer; Replacement coil. My favorite wismec kit so far. It gives out really big clouds and smooth draw. Just don't vape at higher power. Great setup. Fast shipping, nice flash sale price. I am happy with this purchase. Thanks, buybest. Bought this gen3 dual kit for my husband since he's a huge fan of wismec and loves high power devices. It works great for him so far.